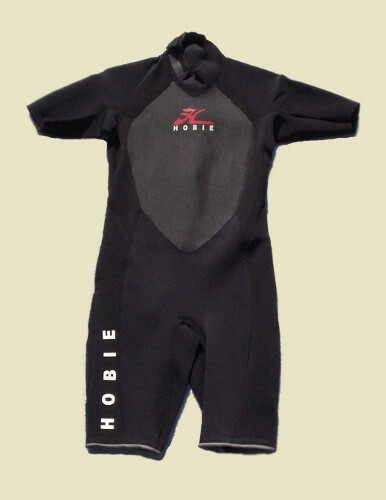 The Hobie Shorty Wetsuit provides great comfort for spring-like conditions. Features vertical back zip entry, anti-choke neck, Armortex seat, and a Lumbar Flex Zone. Constructed of 100% Dura Flex Neoprene with mesh chest and back panels with glued and blind-stitched seams. 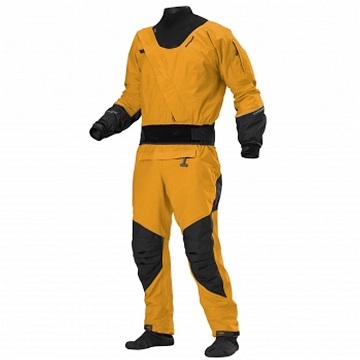 We have some drysuits sizes/colors in stock, others will ship direct from the manufacturer to you. Small Height 5'4"-5'8", Chest 36-40", Waist 28-30"
Medium Height 5'6"-6'0", Chest 40-44", Waist 32-34"
Large Height 5'10"-6'2", Chest 44-48", Waist 36-38"
XL Height 6'0"-6'4", Chest 48-52", Waist 40-42"
XXL Height 6'0"-6'6", Chest 52-54", Waist 42-44"
Whether whitewater kayaking or sea touring, the Amp provides the weatherproof protection and comfort you need. �Choose Men's OR Women's specific cut. 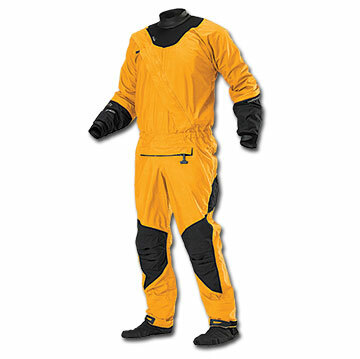 �MasterSeal� waterproof cross-chest entry & relief zippers. �Softer, Duraseal� latex neck & wrist gaskets have a neoprene coating that offers greater UV resistance and increased durability and tear resistance. �Gripp-Loc� skirt tunnel mates with sprayskirt. �Slightly relaxed fit for full mobility, easier entry, and to accommodate a wider range of paddler's. �Cordura� reinforced seat & knees have mesh drainers. �Zippered arm pocket with YKK zipper. �Articulated armored knees. �Reflective accents for increased visibility. �Adjustable cuff covers at wrist and ankles. �Fabric drysocks are sized to fit. Construction 4-Layer Twin Sensor� waterproof/breathable fabric. The Perception Hydroskins Shortie is made with 4-way stretch lycra on the outside for abrasion resistance, stretch pile on the inside for warmth and comfort, and laminated for a windproof, water-resistant interior membrance. Provides the warmth of 2.5mm Neoprene and has a non-constricting feel. Womens' Sizes XS and XL. The NRS Hydroskins Farmer Jane has 0.5mm Neoprene for warmth. The PowerSpan outer layer stretches freely to increase mobility. TiCoat adhesive contains millions of titanium particles, reflecting body heat back to you. Four-way stretch microplush lining gives you the soft comfort and moisture-wicking power of fleece. Antimicrobial treatment reduces odor causing bacteria. Large - 5'7"-5'8" and 130-150lbs. Combine the maximum warmth of Polartec fleece with body-hugging four-way stretch material. Has a breathable windproof membrane, water repellent surface, and excellent protection. Designed to be the only or outer layer in body climate system. Thermal stretch provides aerodynamic performance for skiing, cycling, and neutral buoyancy for warm water diving.